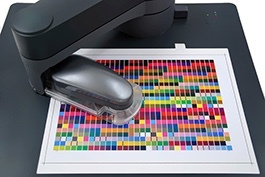 Colour management plays a vital role in the reprographic process to ensure the target colours specified by your client are exactly what will be reproduced on press. We build a profile bespoke to your press setup, taking into account the ink set and substrate being used. This profile becomes the basis for our plate output workflows and colour proofs.